President Bush used his final State of the Union address to once again call on Congress to reauthorize the No Child Left Behind Act. But the one concrete idea he proposed in the speech—$300 million for public and private school choice—won't generate much enthusiasm in Congress, particularly from Democrats. The president proposed a program dubbed “Pell Grants for Kids” that would provide grants on a competitive basis to states, school districts, cities, and non-profit organizations to create scholarship programs for low-income students in schools that have missed their achievement targets under the NCLB law, and in high schools in which graduation rates are lower than 60 percent. A court ruling that revived a major legal challenge to the No Child Left Behind Act is drawing sharply differing interpretations from Secretary of Education Margaret Spellings and advocates for states and school districts. “No state or school district should regard the ruling as license to disregard NCLB’s requirements,” Ms. Spellings wrote in a letter this month to all chief state school officers. The U.S. Court of Appeals for the 6th Circuit, in Cincinnati, ruled Jan. 7 that the states were not on clear notice of their financial obligations when they agreed to accept federal money under the NCLB law. In a 2-1 panel decision, the majority ruled that state and local officials could “reasonably read” the law’s unfunded-mandate provision to conclude the federal government would pay for all costs associated with complying with the law. The pressure to sacrifice teaching and learning to a treadmill of endless, duplicative testing is a common problem in school these days. But it would be tough to find a state harder hit by this burden than Texas, where public schools must navigate separate state and NCLB accountability provisions based on standardized test scores. The demands have meant that some schools in Texas are spending 130 days a year involved in some aspect of testing-test prep, test administration, test benchmarking and test scoring. Now teachers are fighting back through a campaign called "Reclaim Your Classroom." Texas AFT is distributing Reclaim Your Classroom Test Watch cards in schools statewide and on the Internet so that teachers, parents and students can track how much time is spent on testing, including standardized tests like the Texas Assessment of Knowledge and Skills (TAKS), which is used for grading schools under NCLB as well as the state's accountability system. The cards also track the inordinate amount of time spent preparing for and benchmarking tests-and that pressure has only grown since enactment of the No Child Left Behind Act, says Ken Zarifis, a middle school language arts teacher from Austin. Zarifis began to track testing hours well before the campaign kickoff in September. "My students are losing nine weeks a year to testing," he reports. "Ten years ago, testing was taking about a week out of the year. It's appalling." Zarifis says that NCLB is a big reason for classroom time lost to testing. "Districts feel the pressure, and it just carries down to superintendents, principals, department and into the classroom," he says. "You need to have data in teaching. But now we're just piling data on top of data. Learning is investigating and discovery. It's writing and thinking critically. It's not assessment, which is just the measurement of that activity." Surveys by Texas AFT reveal that a large majority of teachers across the state say testing is taking away valuable instruction time and hurting other course work, Linda Bridges, president of the affiliate and an AFT vice president, told reporters at the campaign kickoff. More than 93 percent reported the quality of education had dropped in subjects not tested by TAKS. "More than half of the teachers surveyed told us they're spending more than half of their class time on testing," Bridges says. "That's just insane, and we've got to start putting the pressure on local officials, state lawmakers and Congress to change our testing system now." Texas AFT will use the information generated by the "Reclaim Your Classroom" campaign to push for test reform at all levels. The union's goals include eliminating the confusion and contradictions between state and federal accountability systems, and giving students credit for the progress they make instead of penalizing them for not meeting accountability standards based on tests that don't accurately measure growth in student achievement. The AFT state affiliate also is pressing policymakers to restore the authority for test preparation to teachers and ensure the appropriate use of standardized testing as a diagnostic tool that helps focus resources where they are needed. Left unchecked, the mania for testing will continue to warp the school mission, Zarifis warns, and children will be the losers. He recalls one bright student who came up to him at the end of last year, right after the school had administered the TAKS assessment. "She said, ‘Mr. Zarifis, why are we still in school? We're done with the test.' "
AUSTIN - New, more rigorous education standards could help more students make it through college, said an El Paso educator who helped develop state guidelines meant to ensure that high-school graduates are prepared for higher education. "I think it will help in the long run," said Mercedes Guzman, high-school science facilitator for the El Paso Independent School District. The Texas Higher Education Coordinating Board this week approved college readiness standards, which outline what knowledge and skills high-school students need to be successful in college or on the job. In 2005, legislators passed a law that required higher education and public school agencies to align their standards so that when Texas students graduate from high school, they are prepared for their next step. Studies showed that many Texas students needed remedial courses before they could take college classes, and business leaders complained that graduates weren't ready for work. A report released last year by Gov. Rick Perry's Commission for a College Ready Texas indicated that half of all Texas college freshmen had to take remedial courses, compared with 28 percent of students nationwide. "We will not be competitive economically, we will not be able to sustain a high quality of life in Texas unless we dramatically improve educational outcomes," said Raymund Paredes, Texas commissioner of higher education. entry-level English, math, science and social studies courses. The Texas Education Agency and the State Board of Education must next approve the standards and plans to apply them in classrooms. Paredes said it could take four to five years before results of the new standards are evident in classrooms. Guzman helped develop the science standards. She said the standards would be much more challenging for high-school students. At first, the standards might be a shock, she said, but the harder work will pay off. "Whenever you start something new, there's a difficult adjustment period." Students, she said, are less likely to get discouraged and quit college if they are prepared for the challenges. And if students don't have to take several remedial classes before taking courses that count toward their degree, she said, they will save money and graduate sooner. Pat Gomez has two children at Andress High School, a freshman and a senior. She said she is not sure that her son who is about to graduate is completely ready for college and wonders whether instructors have to spend too much time teaching for standardized tests such as the Texas Assessment of Knowledge and Skills, or TAKS. "In real life it's not about a test. It's about what you know." Districts in big cities of the Midwest and Northeast undergo the most change. Chicago - At one time, the Charlotte-Mecklenburg School District in North Carolina was a model of court-ordered integration. Today, nearly a decade after a court struck down its racial-balancing busing program, the school district is moving in the opposite direction. More than half of its elementary schools are either more than 90 percent black or 90 percent white. "Charlotte is rapidly resegregating," says Carol Sawyer, a parent and member of the Charlotte-Mecklenburg Schools Equity Committee. It's a trend that is occurring around the country and is even more pronounced than expected in the wake of court cases dismantling both mandated and voluntary integration programs, a new report says. The most segregated schools, according to the report, which documents desegregation trends, are in big cities of the Northeast and Midwest. The South and West - and rural areas and small towns generally - offer minority students a bit more diversity. Suburbs of large cities, meanwhile, are becoming the new frontier: areas to which many minorities are moving. These places still have a chance to remain diverse communities but are showing signs of replicating the segregation patterns of the cities themselves. "It's getting to the point of almost absolute segregation in the worst of the segregated cities - within one or two percentage points of what the Old South used to be like," says Gary Orfield, codirector of the Civil Rights Project and one of the study's authors. "The biggest metro areas are the epicenters of segregation. It's getting worse for both blacks and Latinos, and nothing is being done about it." About one-sixth of black students and one-ninth of Latino students attend what Mr. Orfield calls "apartheid schools," at least 99 percent minority. In big cities, black and Latino students are nearly twice as likely to attend such schools. Some two-thirds of black and Latino students in big cities attend schools with less than 10 percent white students; in rural areas, about one-seventh of black and Latino students do. Although the South was the region that originally integrated the most successfully, it's beginning to resegregate, as in the Charlotte-Mecklenburg district. While resegregation has been taking place for some time, Orfield says the latest numbers are worrisome both for the degree to which they show the trend is occurring and in light of the US Supreme Court's most recent decision on the issue last June, which struck down several voluntary integration programs and made it more difficult for districts that want to work at desegregating schools to do so. "If you [as a district] are going to ask your lawyer what's the easiest thing to do, it's to just stop trying to do anything," Orfield explains. "That's a recipe for real segregation." Not everyone feels that way. Some groups applauded the Supreme Court's decision last summer as another step toward taking race out of school admission policies and allowing parents to send their kids to the schools most convenient for them. If schools start reflecting neighborhood makeup - which often means nearly all-white or all-minority - that doesn't have to matter, they say. "Segregation means people are being deliberately assigned to schools based on skin color," says Roger Clegg, president of the Center for Equal Opportunity in Falls Church, Va. "If it simply reflects neighborhoods, then it's not segregation." Mr. Clegg questions some of the resegregation research, noting that the percentage of white students in schools is often going down simply because they're a decreasing portion of the population. He also quibbles with the notion that an all-black, all-Hispanic, or all-white school is necessarily a bad thing. "I don't think that the education that you get hinges on the color of the person sitting next to you in the classroom," Clegg says. "What educators should focus on is improving schools." > "Once you separate kids spacially from more privileged kids, they tend to not get the same things," says Amy Stuart Wells, an education professor at Columbia University's Teachers College in New York. "And we need to start thinking about how a school that's racially isolated can be preparing students for this global society we live in." Still, many of the programs that worked to achieve integration - such as busing - have been highly unpopular over the years. And in big cities, real integration is often virtually impossible: Many cities have largely minority populations, and the districts don't extend to the suburbs. Suburbs, though, offer potential. The Civil Rights Project report noted that big-city suburbs educate 7.9 million white students along with 2.1 million blacks and 2.9 million Latinos. "This is the new frontier for thinking about how to make diverse schools work," says Professor Wells. But so far, the data for suburbs are not encouraging, showing emerging segregation. Some integration advocates say this shows a need for more diversity training for teachers and students and for policies that encourage integrated housing, not just schools. "Each affects the other," says Erica Frankenberg, the co-author on the Civil Rights Project study. "Unless we think about this jointly, we're probably not going to be able to create stable racial integrated neighborhoods and schools." PHOENIX — When Marco Carrillo, a naturalized American and a high school valedictorian, went to meet with his college counselor, her major worry about his future had little to do with his SAT scores or essay or extracurricular activities. It had to do with his citizenship. Such questions have become commonplace in Arizona, where voters passed a 2006 referendum, Proposition 300, that forbids college students who cannot prove they are legal residents from receiving state financial assistance. One of several recent immigration statutes passed by Arizona voters and legislators frustrated by federal inaction, the law also prohibits in-state tuition for illegal immigrants. Administrators at several campuses fear that the provision has priced some out of their classes, particularly at the state’s popular community colleges. A report to the Legislature in December found that about 1,700 students had been denied in-state tuition at the Maricopa colleges because they were not able to prove their legal status, though it was unclear how many had dropped out. Officials at the University of Arizona in Tucson said that some of the 200 to 300 dropouts from last fall were also illegal immigrants. Pima Community College, estimated that as many as 1,000 students may have been affected by the law. More than enrollment declines, however, what worries some educators here is that nonlegal residents — some of whom have lived in the United States since infancy and attended American high schools — will be afraid to pursue any form of higher education. “The most frightening thing about the policy in place isn’t necessarily its measurable effect, it’s the immeasurable effect,” said Paul R. Kohn, the vice provost for enrollment management and dean of admission at the University of Arizona. The law does not forbid nonlegal residents from attending college or require colleges to report them to the authorities, something the colleges have worked hard to convey. Still, supporters said the law would save the state millions of dollars and provide a powerful disincentive to prospective border-jumpers. Arizona lawmakers have been increasingly active on the issue of immigration, moving National Guard troops to the border and passing a law that threatens businesses with the loss of licenses if they hire illegal immigrants. The moves have disappointed many college-age Mexican-Americans. For students who cannot prove legal residency, the difference in cost can be stark. At Phoenix College, for example, a part of the Maricopa system, in-state tuition runs $65 a credit hour. For out-of-state students taking a full course load, the cost is $280. The difference can be even more jarring at the state’s four-year institutions. Maria Elena Coronado, a student counselor at Arizona State, said out-of-state students could expect to pay $4,000 to $5,000 more a semester than those who proved legal residency. Representative Kavanagh said the law’s intent was not to rob young, assimilated Mexicans of the opportunity to go to college, but merely to try to tame a problem Washington had not solved. Mr. Carrillo, the Arizona State student, said he knew of several nonlegal residents considering returning to Mexico for college. After a recent column describing Barack Obama as "a presidential candidate who happens to be black -- not a black presidential candidate," I received countless responses from readers, a handful of them odd. That odd handful declared they take no notice of superficial traits such as skin color, and they took me to task for making any reference to Obama's race. "I thought of (Obama) as a person. I did not see black or white or Hispanic or that he was a man -- I saw a person! If people really, truly want racial equality, then the first step has to be to STOP looking at skin color," wrote one reader. "When I look at a person, the last thing I think about is skin color or heritage," wrote another. Sorry, but I'm not buying it. While I am sympathetic to any desire to get past dated and useless habits of mind -- especially the contentious politics of the color line -- that's just nonsense. None of us, black, white or brown, is colorblind. Those readers may think they don't notice skin color, but it's just not so, says University of Washington psychology professor Anthony Greenwald, an expert on implicit biases and common stereotypes. "Even if they can't see anything out of their eyes, they're not colorblind." That's not a condemnation, not a presumption of malicious bigotry. It's just an acknowledgment of the peculiar burdens of humanity, especially in these United States. Assumptions about race and ethnicity are so deeply embedded in our culture that we can hardly help noticing skin color. Each of us is stuck with prejudices, and I'm using the denotative meaning here -- "an unfavorable opinion or feeling formed beforehand or without knowledge, thought or reason," according to Webster's. But we don't have to be governed by them. Cutting-edge work by Greenwald and his colleagues, who include Harvard University's Mahzarin Banaji and the University of Virginia's Brian Nosek, suggests that people can learn to put aside their biases to make rational, fact-based judgments about people who may be black or Mexican or Mormon. "To the extent that we can influence what we learn and believe, we can influence less conscious states of mind," Banaji says. But the first step -- as in any self-help project -- is to own up to the problem. Many people don't realize they're prejudiced because, well, they really don't realize they're prejudiced. That self-knowledge is not necessarily difficult to acquire, but it's quite often difficult to accept. Racial bigotry is a social taboo in this country, so much so that only an extremist fringe -- assorted neo-Nazis and skinheads -- admit their rank prejudices. That may explain why some volunteers who have taken Greenwald's Implicit Association Test, which uses word association to detect unconscious biases, are furious when the test shows they hold hidden negative views of black Americans. "Some people have a concept of themselves as non-prejudiced, so anything indicating a chink in that armor is threatening," Greenwald said. But his research has also pointed out that most people simply aren't aware of their implicit assumptions. Take the current Democratic primary, with its history-making narrative. Greenwald and colleagues modified the Implicit Association Test (https://implicit.harvard.edu/implicit) to search for unconscious biases among Democratic voters. When asked who they planned to cast ballots for, a sample of voters reported strong support for Obama, who held a 42 percent-to-34 percent lead over Hillary Clinton among the sample, with John Edwards coming in at 12. But when the same people took the Implicit Association Test, measuring their unconscious preferences, Clinton was "the runaway winner," favored by 48 percent of them, and Obama was dead last, with 25 percent. Edwards was favored by 27 percent, according to the researchers. And here's one finding that upends conventional wisdom: According to the test, black voters, too, held implicit biases that worked against Obama. But how could it be otherwise? Black Americans are products of the same culture as white Americans, with its myriad stereotypes of black incompetence. And black Americans have internalized many of the same stereotypes. The Rev. Dr. Martin Luther King Jr. dreamed of a day when his children would "not be judged by the color of their skin but by the content of their character." But that day has not yet arrived. We might hasten its dawning if we'd admit that what we see is not necessarily what we believe. Oops! In a column about rigid voter ID laws, I mistakenly referred to the Bill of Rights in underscoring the right to vote. I knew better. The right to vote is explicit in the 15th, 19th and 26th amendments to the U.S. Constitution. their students improve on annual standardized tests. scrutinized based on student performance and improvement. Chris Cerf, the deputy schools chancellor who is overseeing the project. has promised those principals confidentiality. be allowed under the contract. would be one of the worst decisions of my professional life." principals agreed to participate in the program. however you got here, are your students learning?" been validated for the use of evaluating teachers." increasingly relying on these measures to judge schools. urban areas, where good teachers are usually more difficult to find. students catch up to more advanced students within three years. too, is not necessarily a good indicator of quality. is involved in the new effort. paper qualifications" were any more effective than those without them. they have no plans to assign letter grades to individual teachers. tenure if that," Mr. Cerf said. pools to distribute to teachers based on test scores. differences among teachers who are simply average. teachers who are just in the middle. You might miss a lot that way." as class size, among other factors. Based on all those factors, that analysis then sets a "predicted gain"
to determine how much a teacher has contributed to students' growth. would undoubtedly open up a legal battle with the teacher's union. SACRAMENTO — State Superintendent of Public Instruction Jack O'Connell today delivered his fifth annual State of Education Address and unveiled an ambitious, comprehensive plan aimed at closing California's pernicious achievement gap that exists between students who are white and students of color, as well as with English learners, students in poverty, and students with disabilities. O'Connell also released a new report by his statewide P-16 Council that outlines what the state can do to create the conditions necessary to close the gap. O'Connell's new initiatives are based on his P-16 Council's recommendations. "Closing the achievement gap is the key to ensuring California will have a well-qualified workforce that will secure a healthy economy in the future," O'Connell said. O'Connell announced the development of a set of Achievement Gap Intervention Benchmarks, which will contain key indicators that research shows are highly correlated with closing gaps in student achievement. "To help me identify these benchmarks and ensure they measure what works best, Christopher Edley, Jr., a national leader in civil rights law and Dean of the University of California, Berkeley, School of Law (Boalt Hall), has agreed to co-chair a Superintendent's advisory committee to develop such a system," O'Connell said. "I've also directed my staff to ensure that, starting in 2009, to earn the California Distinguished School award, schools will have to not only meet the current criteria but they will also have to narrow their achievement gap." Other new initiatives O'Connell announced include a plan to increase quality preschool in California, offer increased flexibility to districts as part of a pilot partnership between the K-12 community, higher education, and the business community to better ensure high school graduates are ready for college or the world of work, plans to enhance the state's data system to improve student achievement, and plans to develop culturally responsive professional development. "I am sponsoring legislation that will consolidate all of the current Title 5 programs serving preschool-aged children to create the largest state-funded pre-Kindergarten program in the nation," O'Connell said. "This will make our pre-K delivery programs more streamlined and efficient and within this new streamlined program, I'm going to focus on delivering preschool of the highest quality." To measure the quality and effectiveness of preschool providers, O'Connell released new "Preschool Foundations." These foundations are grounded in the best research on socially and developmentally appropriate benchmarks for learning as well as on how to reach English learners. They will provide the framework to guide the state's early childhood educators in providing the playful, enriching early learning experiences that create both kindergarten readiness and a love of learning. In talking about the need for greater flexibility so schools and districts are able to raise student achievement and close the achievement gap, O'Connell stated: "The time for action is now; we needn't wait for further study or legislation. I intend to bring before the State Board of Education a pilot program allowing Long Beach and Fresno unified school districts — the third and fourth largest districts in the state — significant new flexibility in how they allocate their resources. This flexibility will allow them to be more innovative in designing programs to close the achievement gap. In exchange for the increased flexibility, the two districts have agreed to form a partnership to learn together, model, and replicate effective practices. Long Beach, which has been a national model for successful urban district management, will receive more flexibility, while Fresno, a district that greatly has improved but is still in transition, will receive a little less. Both districts, however, will commit to specific benchmark progress goals as a result of their partnership and increased flexibility." "At my request and with the agreement of the Governor, all four systems of public education in California — K-12, community colleges, California State University, and the University of California, joined by private colleges, the business community, and career technical education community — have agreed to join 30 other states in the American Diploma Project. This endeavor will help to ensure that when a student graduates from a California high school, they will be fully prepared with the necessary skills to enter the world of work or higher education." The California Department of Education (CDE) is in the process of building an information system to track student achievement over time. But there is additional data the state can and should be collecting that would help educators make more informed decisions about effective programs and interventions. In his speech, O'Connell said that collecting and using such data effectively are key to creating a continuous learning system that leads to improved student performance. "I am pleased to announce today we've been awarded a generous grant of more than $2 million from the Gates and Hewlett foundations to help create a vision and roadmap for the kind of data our state needs to truly improve teaching and learning as well as decision making at both the state and local level. I also pleased to be joined by Governor Schwarzenegger as a full partner in this process. The grant we have received will allow us to partner with highly regarded strategic management advisors, McKinsey and Company, to help guide this project. Together we will create a document by this summer that clearly lays out what additional information the State of California needs to collect and how much it will cost us to do it. This roadmap will then serve as the basis for the data commission I'm serving on with Governor Schwarzenegger, a commission that has the charge of turning our work into a reality." O'Connell announced he has directed the CDE to include evaluations of racial and cultural issues within the existing California School Climate Survey or the California Healthy Kids Survey. This will cost schools no additional money or time, but it will provide valuable information to guide them in the important dialogue that must occur. "Over the next year, I'm going to bring together experts from around the country to help develop world-class professional development on what it means to be culturally responsive in the classroom, principal's office, and administration building," O'Connell said. 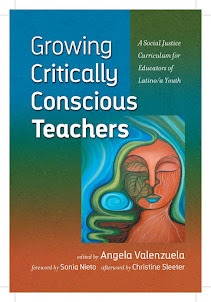 "This curriculum will help our educators provide a school climate in which students from all cultures and races feel equally supported in learning to high expectations. "I also will be collaborating with the deans of California's schools of education to work to imbed culturally responsive instruction in California's teacher pre-service and professional development programs." 'We're building a brand new public school district of choice,' co-founder says. Nine new schools in nine years. The challenge facing KIPP Austin College Prep, part of a national charter-school chain with a reputation for success with underserved students, is whether it can accomplish at 10 schools what it has done at one. Leaders of KIPP Austin, which stands for the Knowledge Is Power Program, have no doubt that it can. More than $4.5 million in grants from the Colorado-based Charter School Growth Fund will provide a boost. KIPP Austin opened in 2002, one of 15 KIPP schools in the nation then. The fifth- through eighth-grade campus was originally in a Riverside Drive strip mall; its current campus is at the former Travis State School in East Austin. KIPP is the darling of charter school supporters; they often cite it as a model for improving the education of African American and Hispanic students from families with low incomes. The first phase of the Austin expansion plan begins next school year when the high school opens with 90 ninth-graders. By 2016, officials say, KIPP Austin will run four elementary schools, four middle schools and two high schools — serving an estimated 5,000 students. Nationwide, the 57-school KIPP network plans to grow to 100 campuses in the next decade. "We're building a brand-new public school district of choice," said Mike Feinberg, who started KIPP with another teacher 14 years ago as a fifth-grade program in Houston. "We're going to prove you can scale the model. We will scale it, and you will learn from us." Administrators say the KIPP model works because it requires longer school days, sets high expectations, gives principals and teachers flexibility, and mandates parental involvement. They point to student gains on state achievement tests and high college enrollment rates as proof of success. In building a school district, KIPP Austin leaders must find a way to give principals and teachers autonomy while creating systemwide procedures and obtaining more private dollars to pay for some of KIPP's key features — higher-than-average faculty salaries, extended school days and out-of-state field trips — that tax dollars won't cover. Some education experts say the time demand on KIPP educators could lead to higher teacher burnout. They also note that the policy of asking undermotivated students to leave KIPP would be difficult, if not impossible, to replicate in public schools. Unlike the typical top-down management styles of most traditional school districts, KIPP campuses tend to be autonomous. School leaders design every aspect, including what the "KIPPsters" wear, the curriculum they study and the kind of tile on the floors. But the Texas Assessment of Knowledge and Skills looms over KIPP classrooms, as it does over traditional public school classrooms. Visits to the flagship Houston campus showed students taking TAKS practice tests. TAKS goals were tacked on a wall in one KIPP Austin classroom. Most students go to KIPP Austin from other area schools, and test data show that students' academic performance improves during their years at the charter school. Passing rates for KIPP fifth-graders on the state achievement test were less than 50 percent last year. Rates for KIPP sixth- through eighth-graders approached 90 percent or were higher. School leaders cite year-to-year improvement in passing rates as evidence that KIPP is doing something right. "So many fifth-graders come to KIPP on second- and third-grade levels," spokeswoman Elizabeth Wilmer said. "There really is no magic bullet. It's great teaching and a lot of it." KIPP Austin, with 360 students, is smaller than all but one Austin middle school; those public school campuses average 825 students. The extended school day — a costly hurdle for public schools to reproduce — gives teachers more time to bond with students, understand their needs and tailor lessons accordingly, administrators say. Taylor's "new school" teaching style has made a lesson in factoring fun. "Why have the students sit there and try to find a number?" asked the 25-year-old Taylor, a second-year teacher. "They learned the chant so they can identify a (prime) number — 1 through 100 — in a matter of seconds." Reaching students requires authenticity from head to toe, said Taylor, whose feet were shod in Chuck Taylor sneakers. "The first time I started wearing them to class, (the students) started wearing them. They see you are not putting up a front. You like the same things they like," she said. "I found that if I stay true to myself, then they learn to trust me." Students say KIPP Austin's style strikes a chord with them. "I feel like I learn more, and I get all A's now," fifth-grader Daisy Tavera said. Good grades are not KIPP's sole goal. College is marketed to students as the ultimate prize. Each class is tagged by the year the students will enter college. Flags from teachers' alma maters are prominently featured in classrooms. KIPP arranges student tours to East Coast and West Coast colleges that are paid for through private grants. Acceptance to a four-year college or university will be a graduation requirement at KIPP Austin High School, scheduled to open in June. Parent Annette Arevalo plans to enroll her seventh-grade son in the KIPP high school. "The longer school days were an adjustment for us," she said. "But I think it prepares them for college and the future. It instills their learning and commitment habits from an early age." As KIPP officials focus on "scaling up," they are keenly aware of the challenges ahead and the criticisms of the program. Detractors say the extended school day is little more than a recipe for teacher burnout. KIPP Austin keeps students in school about 11/2 hours longer than most public schools do. Teachers are available by phone until 9 each night to answer homework questions, and they spend every other weekend doing extracurricular activities with students. "They are literally on-call 24 hours and teaching Saturdays," said Susan Ohanian, a former teacher who has written several books about public schools and teaching methods. "It seems like a plan for very idealistic teachers who have no other life." Like Taylor, most KIPP teachers are young, energetic and enthusiastic about their calling to remedy a host of social ills by teaching disadvantaged children. Each KIPP Austin teacher was handpicked by Principal Steven Epstein. Though conventional wisdom holds that more-experienced teachers make better instructors, especially for struggling students, veteran educators don't like KIPP's long hours, Epstein said. Its extended-day program also includes summer classes. "The hours are a major thing. That's one of the first things people see," Epstein said. "It's harder to recruit teachers who are a little bit older and have families." It's also not easy to retain staff members, school officials say.KIPP Austin pays beginning teachers $43,736 on average, as much as $5,641 more than the state paid in 2006-07, according to Texas Education Agency data. But KIPP administrators say the school has lost 15 of 46 math, science, social studies and language arts teachers — nine of whom weren't asked to return — since opening in 2002. KIPP can also ask students to leave if they don't exhibit a solid work ethic or if their parents don't get involved with the school, requirements outlined in a student and parent commitment compact. "It is incorrect to conclude that KIPP's successes, to the extent they exist, can be duplicated in regular schools which cannot select their students," said Richard Rothstein, a research associate with the nonpartisan Economic Policy Institute. Rothstein said he is not critical of KIPP itself. KIPP officials say they ask students to leave only after other interventions have failed; 19 of the Austin school's 327 students were asked to leave in the past school year. So far this school year, 10 of 360 students have been asked to leave. The Texas Education Agency considers Mendez Middle School a peer campus to KIPP Austin based on demographics even though KIPP Austin has fewer at-risk students — those with academic, emotional, social or disciplinary problems. About 70 percent of Mendez students are considered at-risk, compared with 22 percent of KIPP Austin students. Ninety-six percent of KIPP Austin sixth-graders passed all sections of the TAKS in 2007; 50 percent of Mendez sixth-graders did. Some critics say KIPP accepts only the best and brightest students who have the most motivated parents. But Feinberg, the KIPP co-founder, said such criticism is unfounded. By definition, at-risk students might be failing the majority of their classes, have poor test scores or have limited English skills. When at-risk students enroll in KIPP, officials say, the goal is to ensure they don't stay at risk. "The hardest group of kids for us to recruit are those that are doing well. It's much easier for us to recruit kids who are not doing well in school," Feinberg said. Austin school district officials say they aren't concerned about the competition from KIPP. The district's enrollment projections are healthy: 103,038 students in 2015-16, an increase of about 24 percent from this school year. With public schools already competing with private schools, district officials said they are committed to giving parents and students a variety of academic options. "In a community as diverse as Austin, students and their families must have choice when it comes to education," district spokesman Andy Welch said. "The Austin school district provides many choice options through its magnet schools, (International Baccalaureate) programs, career academies, the arts and other programs. KIPP also offers effective choice options to students, and we hope to one day find the opportunity to collaborate on a project that will serve some Austin students in a new, beneficial way." KIPP Austin officials spent the latter part of last year building a central office, interviewing principals and teachers, checking out potential school sites and raising money. Recruiting and fundraising will continue in the next few months as administrators prepare to open the high school. "We're looking at the impact on the community," said Jill Kolasinski, founder and executive director of KIPP Austin. "The vision is not to take over (the Austin school district). The vision is to make sure that every child has an option for excellent education." Cities across America have long hunted for tougher, better-trained principals to turn around struggling schools full of impoverished children. A major university and an influential group of educators in Texas are proposing a provocative way to meet the demand: They say urban principals of the future can skip the traditional education school credentials and learn instead about business. The nascent movement toward an alternative path to school leadership is driven by the troubles facing schools in the District and elsewhere as would-be reformers argue that a key to raising student achievement is to overhaul personnel, from the central office down to the classroom. The change also comes amid growing debate over which of a principal's many duties are most important. School leaders often feel like the combined mayor, police chief and schoolmaster of a town with a population of 1,000 or more. Education schools, where most principals are trained, emphasize teaching and managing children. But organizers of a new Rice University program for "education entrepreneurs," and some top education officials in the Washington area, say an inner-city principal cannot succeed without enough business smarts to manage adults. For example, they say, principals need to know how to recruit great employees and fire bad ones. Rice, which has no education school, is launching a master's of business administration program this year to prepare principals for several Houston schools. "We don't want to take a slap at education schools," said Leo Linbeck III, a businessman and professor at Rice and Stanford University who helped plan the program. "We want to compete with them in creating great principals." D.C. Schools Chancellor Michelle A. Rhee, who has stepped up efforts to recruit new school leaders since taking over the 49,600-student system last year, praised the Rice initiative. "I think this kind of alternative approach to administrator training has tremendous promise," Rhee said. "We should cast a broad net to look for the best routes and programs possible." Rhee herself took an unconventional path: She was named D.C. schools chief without any experience as a superintendent. Prince George's County School Superintendent John E. Deasy, who leads a 130,000-student system with several struggling schools, said: "We don't teach students one way. Why would we want to train principals in just one way? A public school can have a $5 million payroll and a plant worth $90 million. That is a job for an MBA." Organizers of the Rice program, funded with a $7.2 million grant from Houston Endowment, a philanthropic foundation, predicted it will attract high-quality candidates because an MBA will give them plenty of career options if they decide to leave education. Candidates must have classroom teaching experience. Their business-school loans will be forgiven over time if they stay in public schools. Like teachers, aspiring principals generally earn credentials through education schools. The University of Virginia and a few others have school leadership programs that link education and business schools, but Rice officials said they believe theirs is the first such university program without an education school component. Experts said they expect many education schools to oppose the new approach. But Jane West, vice president for government and external affairs at the American Association of Colleges for Teacher Education, said her group "looks forward to following the development of this interesting project." Jeffrey Gorrell, dean of George Mason University's education school, said there were "some good ideas" in the Rice plan. But he said it was wrong to say education schools teach principals only how to manage children. "A huge amount of the course work and the internship experiences are related to working with adults," he said. The Rice approach "will increase the psychological distance between principals and teachers, which is often already too great," said Gerald W. Bracey, an education author and psychologist who lives in Fairfax County. "It goes against the grain of trying to have principals become more instructional leaders, not just managers." Mel J. Riddile, the 2006 national high school principal of the year, who runs T.C. Williams High in Alexandria, said management skills are important, but so is teaching. "Schools benefit or suffer in direct proportion to the amount of time that the principals spend focusing on instruction," he said. Rice officials said partners in the venture include Teach for America, which places college graduates in inner-city classrooms; a school improvement advocacy group called the Houston A+ Challenge; some Houston area school systems; and the public charter school networks KIPP and YES, which have succeeded in raising inner-city test scores but are recruiting principals to help them expand. Linbeck is a KIPP adviser. Efforts to retool principal training dovetail with similar initiatives in Houston, New York and San Diego for alternative teacher training. Charter school networks in those cities have set up teacher institutes, some with education school affiliations and some without. Rice's leadership program will begin in July with 15 candidates for a two-year MBA, plus 30 other students in a short-term course of study similar to the management institutes run by many business schools. All candidates will work in Houston area schools and take classes on nights and weekends and during the summer, Linbeck said. Kaleem Caire, leader of a foundation in Bowie that promotes academic opportunities for adolescent males, said the Rice initiative could help nudge education schools to provide more business training. Caire said he tailored his own education degree at the University of Wisconsin to include studies in business and urban education. Michael A. Durso, principal of Springbrook High School in Montgomery County and a former principal in Virginia and the District, said he found the Rice plan "new, fresh and possibly helpful." But he added: "My concern with these business models has always been the obvious disconnect -- our losses are not as easy to cut as in the business world." The Annenberg Institute has just published the results of a study of 13 New York City schools that are successfully preparing low-performing ninth-graders for timely graduation and admission to college. Principal Associate Carol Ascher and Research Associate Cindy Maguire, coauthors of the study, describe four key strategies these schools use to help their students “beat the odds”: academic rigor, networks of support, high expectations, and effective use of data. I've tried to continue monitoring the expansion of the Green Dot movement through the years and this article is clearly showing how the money and power that support this "reform" have greater consequences that what might appear. The language in this article alone show that these corporate interests are fully aware of the power they have. From the title: "Buy's Education Reform." From the article: "take charge of failing high schools." L.A. Unified can't, or won't, change fast enough, so local leaders are going it alone. Billionaire Eli Broad's latest philanthropic act goes beyond bringing 17 new high-achieving charter schools to Los Angeles -- as though that weren't enough. It signals to the Los Angeles Unified School District that local education leaders have changed their thinking about the floundering public schools. They're tired of saying that the time for change is now. Instead, they're saying the time for change has passed. Having run out of hope for swift reform within L.A. Unified, they'll make it happen without L.A. Unified. Broad's recent $23.3-million boost for charter schools brings his overall investment in local charters to about $60 million. Mayor Antonio Villaraigosa pulled in $50 million from South Bay real estate developer Richard Lundquist and his wife, Melanie, to help with the cluster of district schools that his community partnership will operate. Steve Barr, who tried to get the district to adopt the successful tenets of his Green Dot charters, has shifted to a strategy of using petitions to take charge of failing high schools. He's helped by large grants from Broad and the Bill & Melinda Gates Foundation. Private money likes innovation. One of the more promising programs at L.A. Unified, the Belmont Pilot Schools that operate like quasi-charters, attracted a $250,000 grant from the Ahmanson Foundation. If Supt. David L. Brewer polishes his improvement plan for 34 of the most troubled middle and high schools, it also would be worthy of outside support. But L.A. Unified's efforts have been so small, and so slow to get going, that the big money has largely been betting elsewhere. Years of ineffective leadership by the school board stymied innovations. The board then fended off Villaraigosa's effort to govern the schools and hasten the pace of reform. The new, mayor-backed board majority has not yet been the force for reform the district so badly needs. The pace continues to plod. The union role in this cannot be ignored. Green Dot earlier negotiated with the district on a plan to operate Locke High School as an L.A. Unified charter. Talks fell apart when United Teachers Los Angeles was unwilling to liberalize its work and tenure rules. So, with the support of a teachers' petition, Green Dot simply took over the school, and now the union loses those positions altogether. With Broad's new cadre of KIPP (Knowledge Is Power Program) and Aspire Public Schools, the number of charters in the district approaches 150. The message: Impassioned teachers and education leaders will not let students be held hostage to L.A. Unified's inertia or the union's reactionary attitudes toward reform. Educators and policy-makers answered the call to attend a two-day conference convened by Educational Testing Service and the National Council of La Raza (NCLR) to assess progress in educating students who are not proficient in English when they enter American schools and to discuss research on potential solutions. The hosts noted that English-language learners are the fastest-growing segment of the student population in U.S. public schools and that the No Child Left Behind law mandates that each state account for the instruction and performance of students learning English and demonstrate that progress is being made. However, educators have been struggling to find the most effective ways to teach English skills and help immigrant students progress in their academic subjects. Many students who are not proficient in English fall behind in other subjects as well. The conference "Addressing Achievement Gaps: The Language Acquisition and Education Achievement of English-Language Learners," was held earlier this week. It attracted 320 participants, including teachers from throughout New Jersey, nearby states and elsewhere, as well as college administrators and other education officials from around the nation. Dr. Michael Nettles, senior vice president of the policy evaluation and research center for ETS, said organizers were pleased that the conference attracted some of the leading thinkers in our nation who have devoted many years of their lives to studying, writing and advocating� for students learning English. He noted that it was the eighth conference ETS has held on achievement gap issues. We are no longer talking about dealing with a minority part of our population,� he said, but with a segment that is very quickly becoming a majority in schools and in the U.S. population. He said that in the 2004-2005 school year, 5.1 million U.S. students in kindergarten through 12th grade, or one in every nine K-12 students, were trying to learn enough English to follow what was being taught in their classrooms. Those learning English represent 450 original languages, Landgraf said. By the year 2025, he added, one in four students will come to school needing to learn English. We need to find ways to reach these populations that is not only socially conscious, but, frankly, in the best interest of the United States economically,� the ETS president said. He added that while many people believe the immigrant language issue is an urban, inner-city phenomenon, non-English speakers are increasingly dispersing to many states and rural areas. Landgraf said states like Nebraska, North Carolina, Indiana and Alabama saw 300 percent increases of students whose mother tongue was not English. We extol the saga of immigration in this country,� he said. �At the same time, the political rhetoric has become nasty and foul and tinged with a self-centered approach� that has a political agenda driven by fear. Delia Pompa, vice president of education for La Raza, said the No Child Left Behind act, now pending reauthorization, �is the civil rights legislation of today� for the children learning English. She added that the country has a long way to go in addressing the issues. La Raza is a national Hispanic civil rights and advocacy organization. Presenters discussed demographic trends in language education, achievement gaps in other subject areas for students learning English, early childhood learning of language, teacher preparation, special-needs students learning English and successful teaching methods among other topics. McALLEN — Only incoming freshman and sophomores at three of McAllen’s high schools are set to start classes in smaller community settings this fall. During a workshop on Thursday, McAllen schools Superintendent Yolanda Chapa said that after talking with teachers at the district’s high schools, she decided to implement the high school redesign project with just the freshman and sophomore classes. “This is the biggest group at risk,” Chapa said. With changes in state law now requiring students to take core classes — math, science, social studies and English — for four years, those students will have more requirements for graduation, she said. Only Lamar Academy/Options High School will undergo the high school redesign for grades nine through 12, she said, because that is what staff at that school wanted. Under the high school redesign project, schools are split into smaller “learning communities” with about 300 students in each community. These communities can have themes, like performing arts or science and engineering. The project also calls for each teacher and administrator to oversee about a dozen students, checking in with them about once a week to see how well they’re doing in school. Weslaco, Zapata and Pharr-San Juan-Alamo school districts rolled out their redesign projects this school year. Those districts placed all students in smaller learning communities and matched them with teaches or administrators. So far, teachers in Weslaco and PSJA have given the program mixed reviews. All grade levels in the McAllen school district will come under the redesign in the 2009-10 school year. Jennifer L. Berghom covers education and general assignments for The Monitor. She can be reached at (956) 683-4462. Most research that looks at successful schools or tracks improvement in education uses standardized test scores as the sole criterion for measuring progress. Such research may produce strong evidence about the practices and policies that raise test scores, but it provides little useful information about what goes into high quality education. Using test results to identify successful schools and then determine "effective practices" for raising those scores ignores the important but untested learning and characteristics that students, parents and the public seek from schools. A recently released study on equitable high schools intentionally took a very different approach. High Schools for Equity: Policy Supports for Student Learning in Communities of Color examined five nonselective California public high schools. While the researchers explicitly recognized the limits and biases of standardized exams, they first used test scores to establish a pool of schools because scores are among the few indicators systematically collected. They then evaluated a richer array of evidence to identify five high-quality institutions. Justice Matters and the School Redesign Network at Stanford University sponsored the study; the research team was led by Diane Friedlaender and Linda Darling-Hammond. The study defined school success as providing an education that is academically rigorous while being relevant, responsive and connected to students' cultures. Each profiled school constructs successful learning experiences for low-income students of color. The environment is characterized by caring, respectful relationships with students and families, and the school offers a range of supports tailored to bolster learning. Success also included the schools' ability to retain students through to graduation. According to the report, "We sought evidence that students in the schools learn to demonstrate their knowledge in rigorous and authentic ways that ensure they are able to investigate and evaluate ideas, communicate and defend their thoughts orally and in writing, and develop intellectual and practical products that meet high standards of evidence and performance." The schools make extensive use of performance assessments, portfolios and exhibitions. Work on the performance tasks is more engaging for students and provides opportunity for regular feedback by teachers. These assessments are a fundamental part of the instructional process while providing more comprehensive evidence of student achievement. Teachers use them in their own extensive professional development. High Schools for Equity also studied how district and state policies hinder or enable the schools' efforts to carry out successful practices. It found that high-stakes standardized tests are a serious impediment to the schools' ability to engage in high quality instruction. One policy recommendation is to redesign assessment systems at the state and local levels to better represent applications of knowledge and skills through performance assessment. The report's recommendations are based in the California context, but many are nationally relevant. No Child Left Behind, the Bush administration’s landmark legislation aimed at improving education, has done little to increase achievement or equalize education, the Civil Rights Project at UCLA concludes in a new book. The Civil Rights Project, which relocated from Harvard University to UCLA last year, works on civil rights issues including equality in education. Several researchers associated with the project recently released a book addressing accountability and school reform within the context of No Child Left Behind. “What we basically found is that the law has been administered poorly,” said Gary Orfield, UCLA professor of education and a contributor to the book. No Child Left Behind requires all students in elementary and secondary schools to achieve “proficiency” on English and math standardized tests by 2013. In the meantime, schools must meet yearly improvement targets toward that goal. Schools that do not meet those targets can be penalized by losing federal funding or, in extreme cases, being taken over by the federal government. Orfield said these requirements put undue burdens on low-performing schools, which often have higher populations of underrepresented minority students. Gail Sunderman,checked senior research associate with the Civil Rights Project and editor of the new book, said the book focuses on how the law holds schools and states accountable and how effective it is in reforming schools. In general, Sunderman said, researchers found that No Child Left Behind is largely ineffective in accomplishing either goal. She noted that more research needs to be conducted on assessment and accountability methods and that the law’s proficiency targets are not necessarily realistic. Further, No Child Left Behind strains states beyond their actual abilities to improve schools, she said. But Sunderman said researchers wanted to do more than just criticize the law. “One of the ideas of the book is not just to comment on No Child Left Behind and what the issues were, but also to focus on where do we go from here,” she said, adding that this is especially important this year since the law may come up for reauthorization. The Civil Rights Project will send copies of the book to legislators in hopes of inspiring changes to the law, Sunderman said. Still, researchers said they are not especially optimistic about the law’s reauthorization prospects, at least in the near future. Orfield said although the Senate has begun making efforts to revise the law, the Bush administration’s stated opposition to major changes could stall progress. Some lawmakers have expressed frustration over the law’s reauthorization process. Rep. George Miller, D-Contra Costa County,checked is chairman of the House Committee on Education and Labor, and recently said in a statement that efforts to improve No Child Left Behind have been met with resistance. Orfield said he believes it is more likely that nothing will happen until after the presidential election. Though the new book largely criticizes No Child Left Behind, Orfield said he believes parts of the law should remain intact. He praised the requirement that every classroom teacher be “highly qualified” and that states release testing data broken down by ethnic subgroup. An analysis by the Rural School and Community TrustRequires Adobe Acrobat Reader reveals that states with the worst rural student outcomes are those with the most impoverished, minority, and ELL students in rural schools. They are also the states where rural schools receive the fewest resources, and where rural students have been herded into the biggest schools and districts. By Father Michael Seifert | AlterNet. Texas produces more wealth than entire nations, yet it neglects its own. If Dr. Martin Luther King Jr. were alive today, he'd be marching in the Rio Grande Valley. Forty years after his death, it is here that his lovely dream of equality for all God's children is suffering to be born. King rightly named poverty as a blight on the American Dream. And it would test the imagination to find an area of our country poorer than the Valley. We fail every social indicator of well being: access to medical care, employment, affordable housing and high school graduation rate. My own community, Cameron Park, has a per capita income of $4,135 -- less than that of Guatemala. Yet we live in Texas, one of the wealthiest entities in the world. Texas produces more wealth than entire nations. But Texas doesn't take care of its own. The heartbreaker is that most of those forced to suffer the stingy misery of Texas' poverty are children. Not long ago, I had a visit from a group of public health professionals. They had come to see me because healthcare is so abysmal here that my community has become a topic of exotic interest to scholars. We went for a walk, ending up looking out over a creek that runs in front of the church. The academics took note of the collection of cement and tar papered shacks lining the stream. Someone was burning garbage. The stench drifted over us. One of the visitors asked me, "Are we in the United States or in Mexico?" I said, "This is Texas. Why do you ask?" She said, "Because it reminds me of home." "Where is that?" I asked her. "Calcutta, India," she said, unsmiling. But we aren't India or Guatemala or Mexico. We are Texas. We are working Texans, men and women who work two shifts or two jobs and then another on weekends. Salt of the earth, the Bible calls us. "El pueblo de Dios," Cesar Chavez named us. But for all our effort, we barely pay our bills. Minimum wages cannot support a family, no matter how many jobs you manage to hold down. We are too proud to beg, so we don't all eat the way we need to. We pray, always and fiercely, that we don't sicken, that the shadow of an accident not cross our homes. We simply cannot afford to be sick. Despite the hardness of life here, we love the Valley. There is a quality of life here that is missing in San Antonio or Houston or Dallas. There is here an intangible spirit that defies the measures of the social sciences. Some call it solidarity, others a love for the extended family. Church people call it community. The Valley is one place in America where neighbors still unashamedly go door to door to ask for donations for a funeral, where no one sleeps on the streets, where no one goes without a meal, however simple that offering might be. We consider ourselves brothers and sisters, and today's harsh anti-immigrant voices have deepened that sense of community. We especially care about our children. When the president vetoed the expansion of children's health coverage, the anger here was palpable. We look forward to the 2008 elections, for many here have recently discovered the power of the vote. One after another, the presidential candidates call for "change." We in the Rio Grande Valley are ready for change. We believe, as King said, that "the arc of the moral universe is long, but it bends toward justice." We are people of faith, hope and long-suffering love. We understand the hard work that social change requires, and we are not afraid of that. After all, we are working people. After all, we are the legacy of Don Cesar Chavez and of Dr. Martin Luther King Jr.
Father Michael Seifert is president of Proyecto Digna, which is co-sponsoring a series of Town Hall meetings for low-income families in south Texas. It's Time for a Progressive Vision of Education!